The PA Times, published by the American Society of Public Administration, has just issued a special edition called “From Bureaucratic to Cool: A Call for Public Service”. My article on “Crowdsourced Ideas Make Participating in Government Cool Again” describes how government agencies on all levels are turning to Open Innovation platforms to collect the wisdom of the crowds either from their employees or from the public in general. They are closing an important gap that social media platforms so far were not able to address: open innovation platforms are proving a mechanism for targeted knowledge sourcing and knowledge incubation. Innovative ideas and knowledge are not hidden among thousands of comments on Facebook or retweets on Twitter. One of the most prominent examples is Challenge.gov run by GSA – that has just celebrated its first anniversary. Harnessing the knowledge citizens and government employees are willing to share on social media applications in the public sector is one of the most difficult things to do in the era of Government 2.0. Every day thousands of citizens are commenting on government Facebook posts and blog entries or reshare information published on Twitter. Rarely has government the opportunity to harvest innovative ideas and knowledge that is published through these channels. The main reason for many agencies to set up an organizational account is still “to be where the people are”. Recently Open Innovation platforms have started to address this disconnect and are providing an easy access to participate in making government cool again. Social media tools, such as blogs, Twitter or Facebook, are great channels to collect and encourage citizens to provide their insights on the issues and plans of government. Unfortunately, today’s standard social networking services do not have the capability to automatically extract and collate new knowledge or ideas from content that citizens are submitting through the existing commenting channels. In some cases the sheer volume of comments makes proper analysis very difficult. The challenge is to extract new ideas or valuable insights from the influx of comments in a productive and efficient way. One challenge that agencies are facing when they are using social media is that it is really difficult to access the knowledge that is potentially created in retweets or Facebook comments. For one, the sheer volume of comments an agency receives has become unmanageable. Dashboard solutions, such as Radian6 might help to give a general overview how the “temperature” is among audiences retweeting and commenting on issues government is concerned about. It becomes far more challenging to actually curate content and extract new ideas and innovative knowledge out of the steady flow of information that comes into government with every tweet or comment. Open innovation platforms are designed to fill this gap. Using a crowdsourcing approach, government can use the platform for an open call to a large, usually undefined group of people (all citizens, potential contractors or industry representatives, citizen programmers, etc. ), so that many different people can contribute to the solution of a complex government task. The platform then helps to direct and coordinate the input of citizens (or application developers, knowledge matter experts, companies, etc.) – which is oftentimes messy and overwhelming on social media channels. These Open Innovation mechanisms to crowdsource solutions are useful for issues where expert knowledge might not be available or is too expensive to access. They also help to improve participation and engagement of citizens. Crowdsourcing provides a platform for governments to engage citizens directly into the decision making process. Virtually any topic can be crowd-sourced within government, meaning that agencies can post an issue in the form of a “challenge” and ask for the submission of solutions. The focus is on innovation, creativity and the generation of new ideas from stakeholders and/or subject matter experts. In some cases the Open Innovation platform allows participation not only to submit their ideas, but also to provide additional information on how their idea can be executed, and every participant can comment on all other submitted ideas. The agency will select the best solution or set of solutions and the winners are often compensated in some way. This approach is more cost effective than the traditional requests for proposals, which are often time-consuming and have a very specific design criteria and solution in mind. A challenge opens the conversation and allows the “crowd” to come up with the solution, often without rigid requirements. Open innovation platforms are design to coordinate and streamline the submission and influx of innovative ideas. Local governments are also using open innovation platforms in a similar fashion. New York City’s “NYC SimpliCity” is used to generate cost-saving ideas from employees. The City of Mesa, Arizona’s iMesa program is a response to the economic downturn, designed to collect citizens’ ideas to save money. Harford County, Maryland’s Idea Factory also solicits ideas from constituents designed to stimulate new ideas and innovation. Some of these platforms allow citizens to vote on each other’s ideas and earn “points” for every online activity they perform on the platform. In some localities these virtual points can be traded in for real-life products, such as a ride with the police chief for a day in the City of Manor, TX (see http://www.cityofmanor.org/labs). Platforms and their use differ depending on the goals and needs of each agency. Some platforms, such as the New York City Simplicity platform are used for internal purposes only. City employees are asked to help the city be more innovative and help to save costs during major budget crunches (http://www.nyc.gov/html/simplicity). 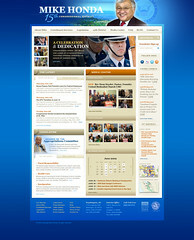 Other platforms are mostly used to crowdsource citizen ideas on how to innovate government operations, such as Harford County’s Innovation portal (http://harfordcountymd.spigit.com/Page/Home). While we truly observe only the first lighthouse projects and experiments with Open Innovation platforms, designing challenges is relatively easy. GSA’s Challenge.gov for example provides the platform for free to all federal agencies and challenge administrators can follow a relatively straightforward process. Start by carefully crafting the problem statement you want your employees or citizens to solve. The challenge has to be posed in plain language so that non-experts immediately understand the problem. Experiment with challenges in-house first before opening the floodgates to the public. Your internal sandbox can provide valuable insights to streamline the process for public challenges. Design participation incentives: Think about monetary and non-monetary give-aways that no one else offers and make it worth participating in the challenge. Showcasing submitted solutions on your website can be an incentive for citizens to participate – others might want a monetary return on their time and ideas invested in helping government. Set a time limit: Close your challenge after a predefined time and make sure that you communicate the duration and elapsed time to your participants. Having that one time opportunity to submit an idea can also serve as an incentive for participants. Create a transparent evaluation process: Post the evaluation steps and experts involved in judging the submitted solutions prominently on your website. Communicate how you plan to implement the final solution. Throughout the implementation process make sure to show the value of the crowdsourced solution: How much money was saved? Why are government operations now running smoother than before? Challenges and prizes in government have the potential to reinvigorate government operations, inject new ideas into government that otherwise need to be purchased from vendors and consultants. An important effect of the platforms is a new-found transparency and accountability: Citizens and employees feel that their voices are heard and are willing to participate and engage with government again in the future. A win-win all around! Professors O’Leary, Kim and Van Slyke have just published “The Future of Public Administration around the World: The Minnowbrook Perspective” book. My chapter in the book is titled: “The use of social media to dissolve knowledge silos in government”. I argue that public managers are facing the dilemma of ever increasing, changing and complex mandates to innovate with shrinking budgets. At the same time, they need to tap into existing knowledge so that they don’t reinvent the wheel on a daily basis in their search for innovation. Government itself is a large system of disconnected units, where it is impossible to know in which corner of the system similar problems have occurred and what the remedies are that were used to address the problem. Social media – and especially social networking sites, such as Facebook, Twitter, but also niche networks, such as GovLoop or MuniGov2.0 – can help to build cross-sectional networking ties for public managers to access knowledge already available in (and outside of ) government. Moreover, there are a lot of interesting initiatives underway that help public managers to dissolve the existing bureaucratic knowledge silos that exist as a result of departmental structures (see for example Intellipedia or Diplopedia – and many more). Email me if you would like to read a copy of the chapter.